Packed with natural ingredients to create supple nourished glowing skin, this facial serum can be applied after cleansing and before moisturizing. 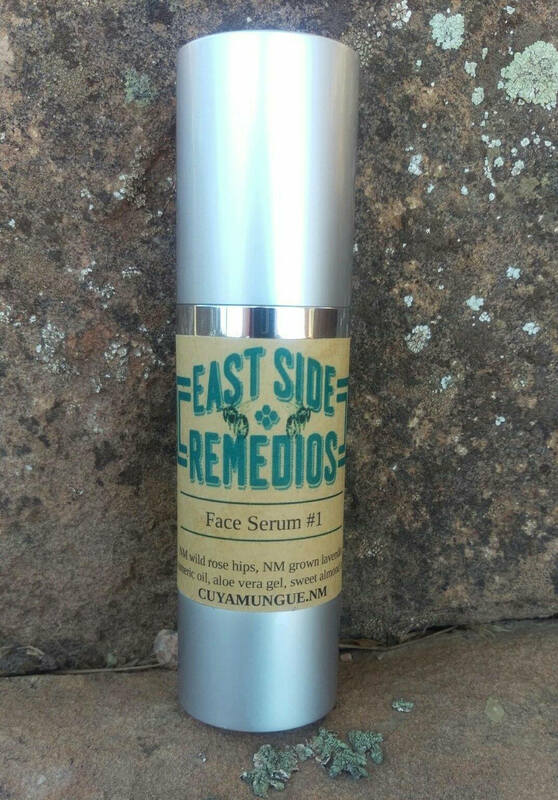 - our essential oil from foraged wild NM rose hips contains vitamin A, combined with essential fatty acids can help improve skin tone, texture and pigmentation. - high altitude grown NM lavender essential oil to restore youthful complexion. -our own turmeric essential oil. Tumeric has long been used to repair damaged skin with its anti-oxidation as well as anti-inflammatory qualities. -aloe Vera gel with its skin hydrating, healing, and anti-aging properties.